Brad is a Vice President in the SPDR ETF Fixed Income Group (FIG) focusing on Sales of Fixed Income ETFs to the Institutional Clients. 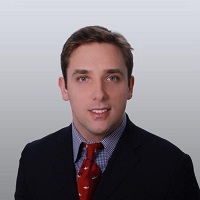 Prior to joining SSGA, Brad was a market maker of Fixed Income ETFs and Corporate Bonds for Knight Capital Group and Cantor Fitzgerald for 6 years. Before that, he worked at MarketAxess, trading individual bonds and focusing on Fixed Income ETF creation/redemption and pricing. Brad began his career at Merrill Lynch in Credit Sales, and Structured Products. Brad holds a BA from Pennsylvania State University, and holding FINRA Series 7, 24, 53, 55, and 63 licenses.